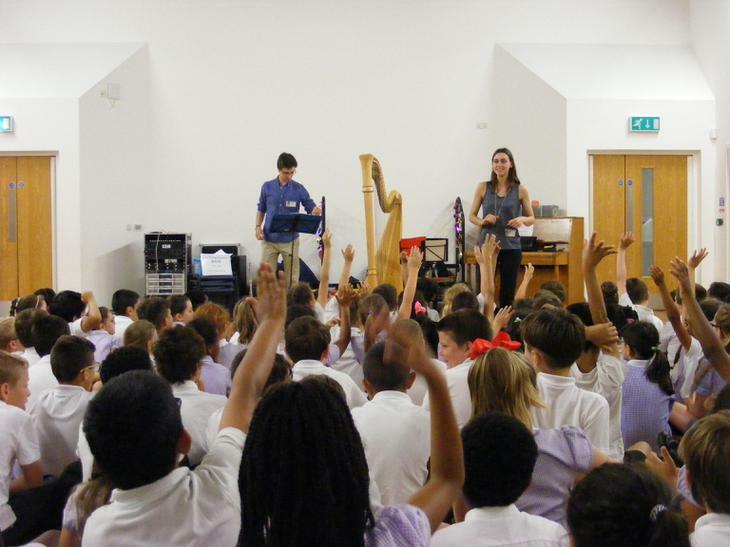 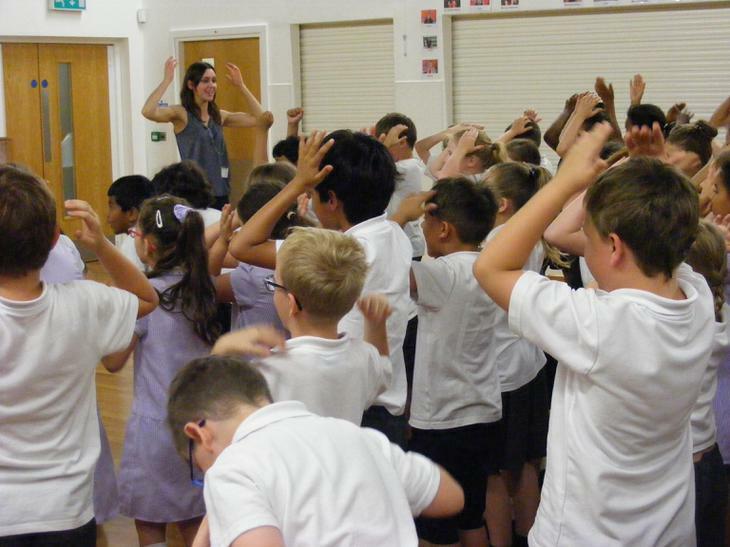 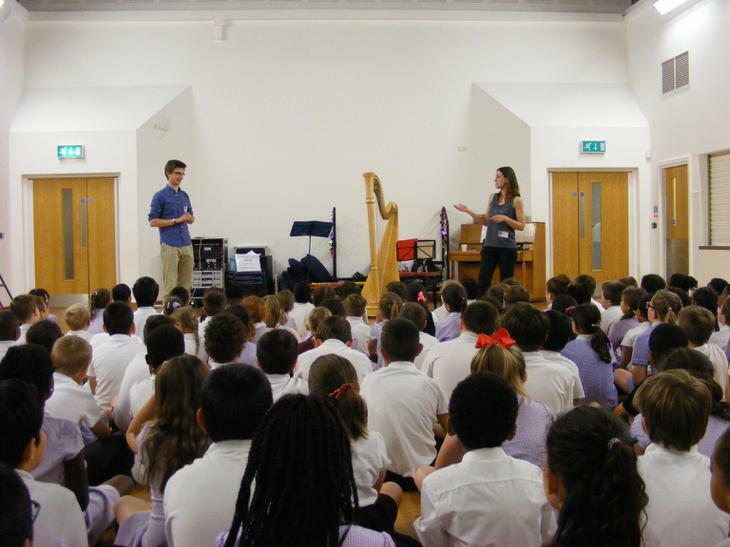 On Wednesday, we had a visit from musical duo, Tom Hancox and Rachel Wick who performed for Years 3, 4, 5 and 6. 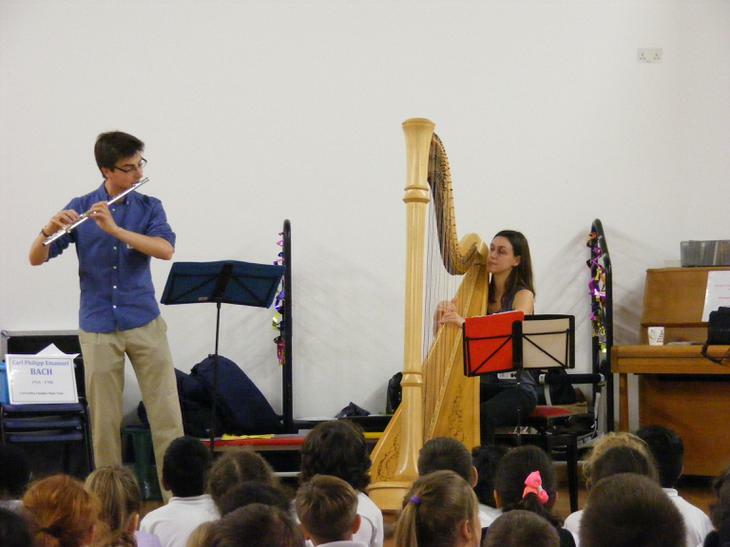 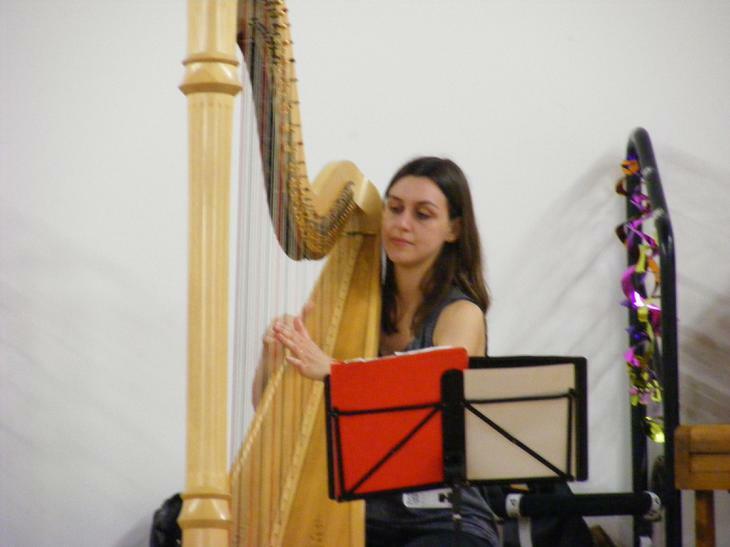 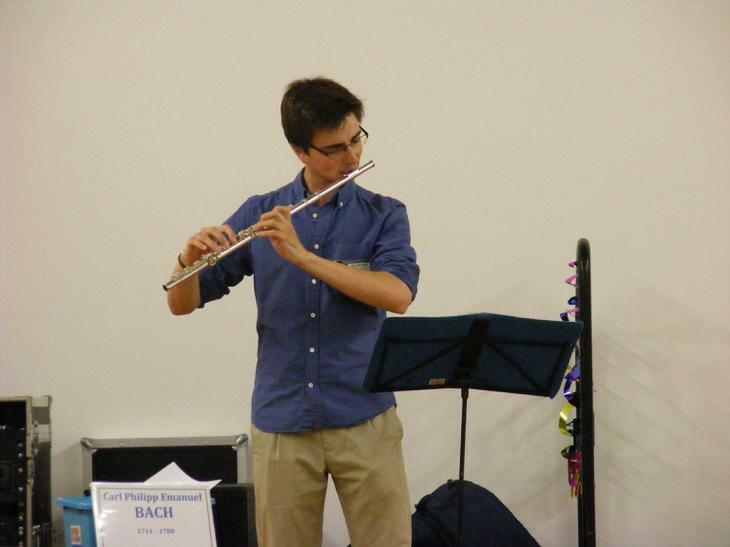 Tom played the flute and much to the children's fascination, Rachel played the harp. 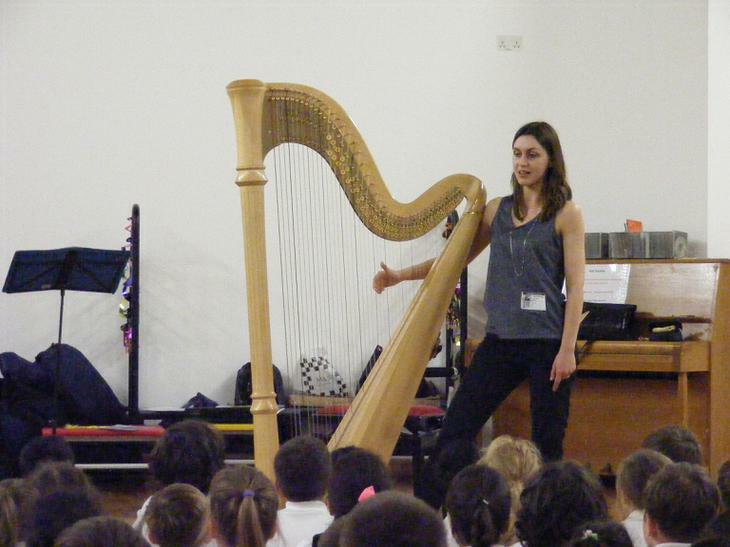 The music itself was beautiful and the children also got to join in with some singing as well as finding out some interesting facts about the harp. 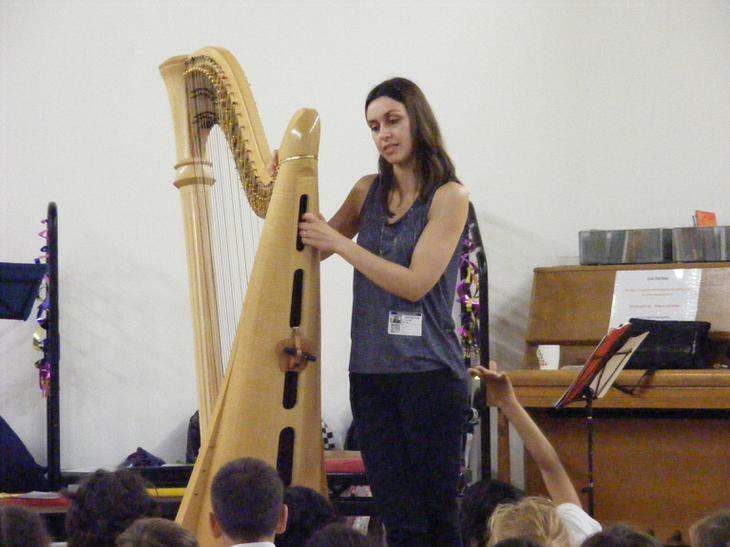 Do you know how many strings a harp has? 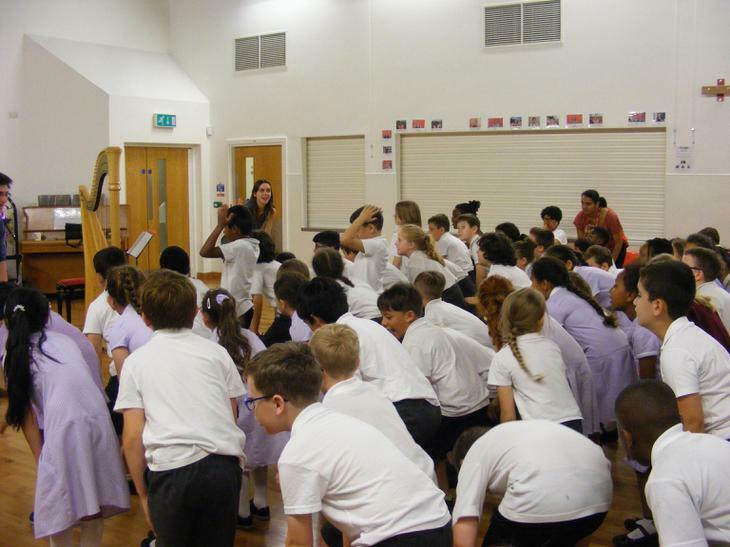 You could always ask your children to see if they remember. 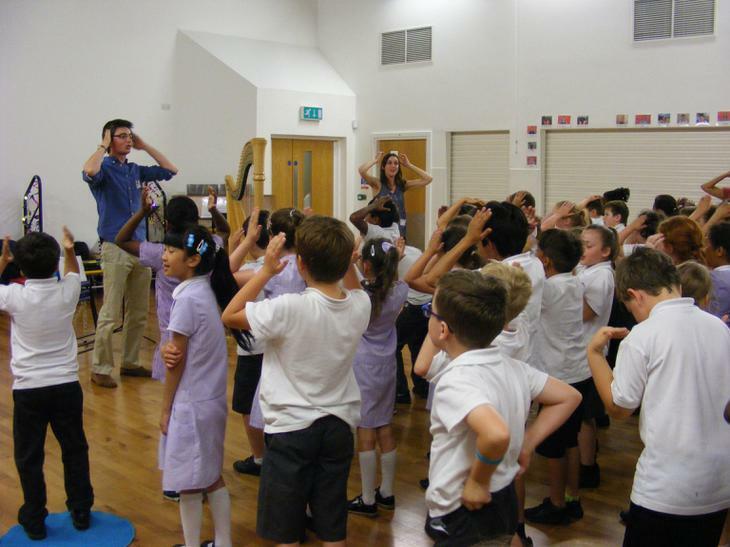 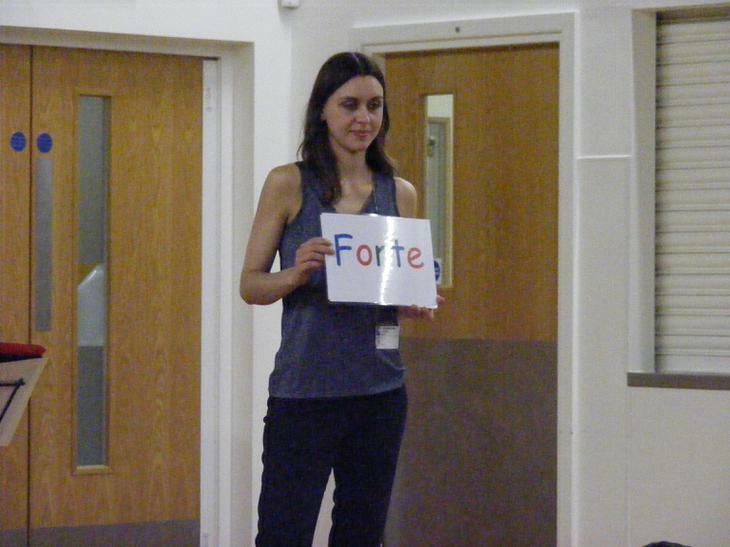 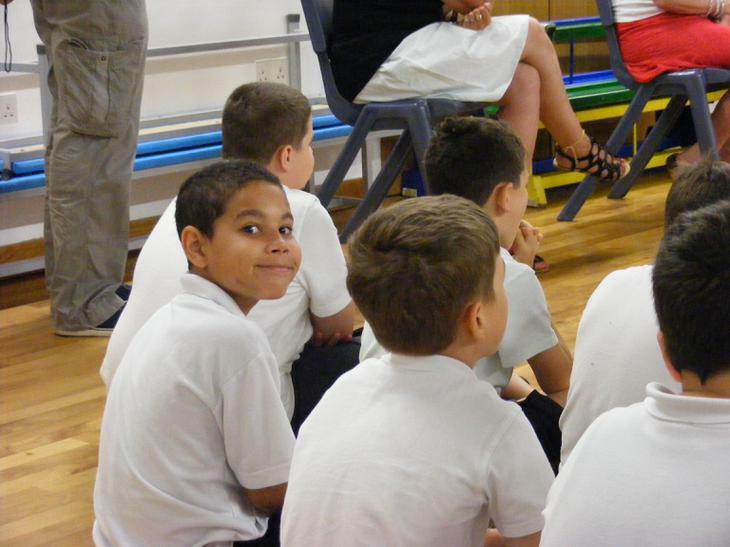 These are the sort of experiences that leave a lasting impression on the children and they certainly seemed fascinated by what they saw and heard. 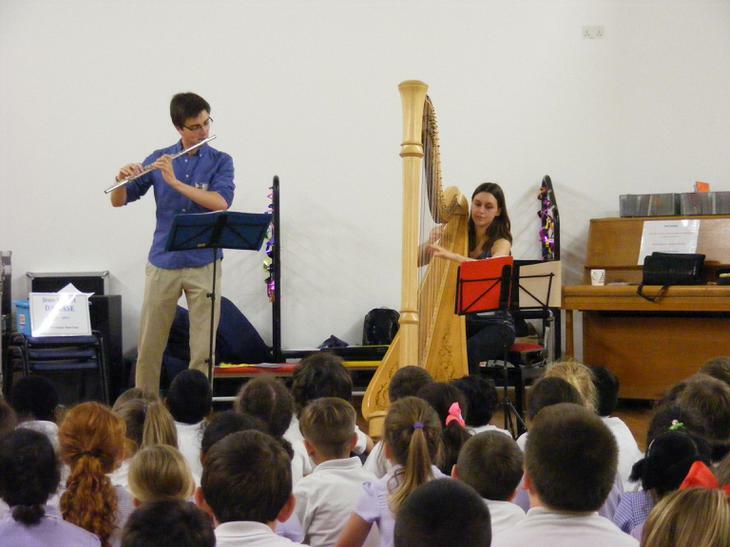 You can check out a short video from their performance in the Additional Latest News section.